Envision Technology Advisors provides technology solutions that can help your business to succeed. They excel at creating unique and innovative websites for their clients. A few of the other services they provide include; IT services, consulting, Cloud and managed services, managed innovation, infrastructure solutions and platform partnerships. Envision Technology Advisors was formed in 1998 in the basement of founder, Todd Knapp. 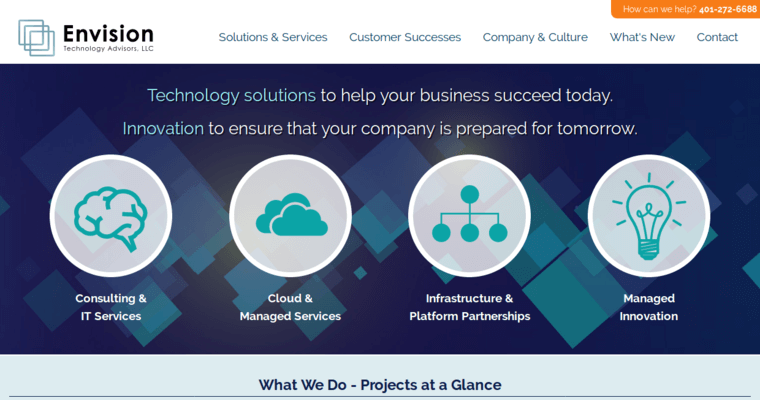 This means that Envision Technology Advisors has been at the forefront of technology consulting and website design. 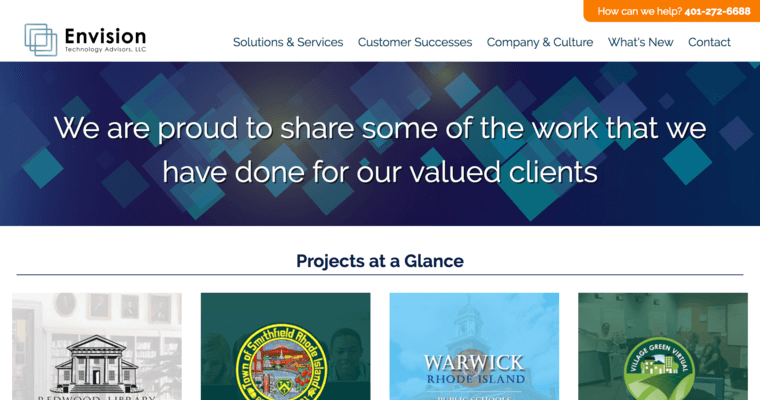 Today, the firm has offices in both Rhode Island and Massachusetts. They have grown from two employees in a basement to dozens of industry-leading experts in their respective fields. 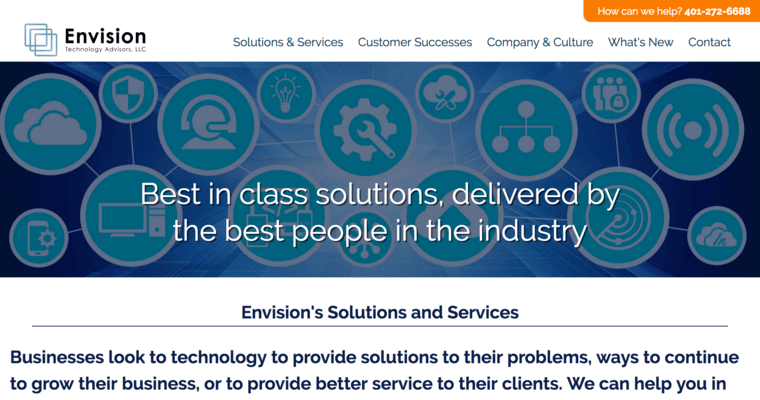 Envision Technology Advisors has successfully helped dozens of clients over the years. They have even been innovators in technology and marketing. With such a long history in the industry, Envision Technology Advisors has a lot of experience to share with your business.